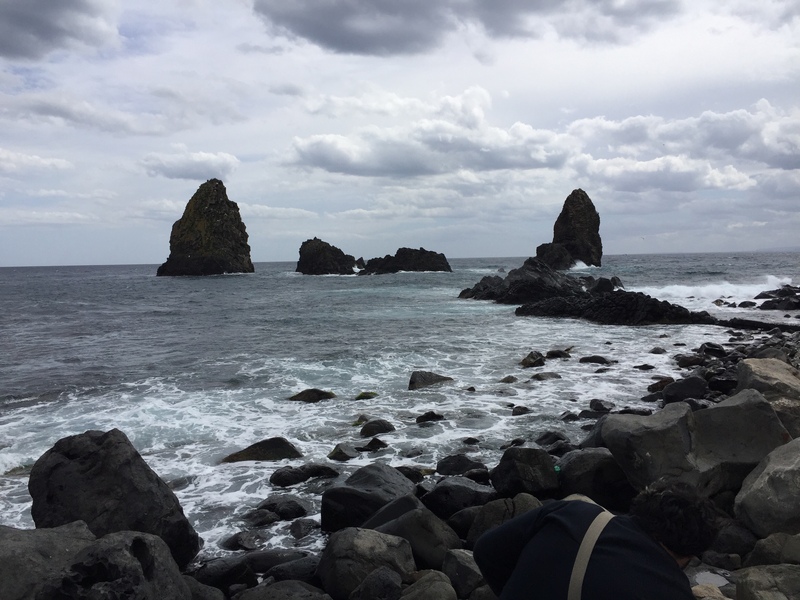 These jagged rocks off the eastern coast of Sicily are the proposed rocks that Polyphemus threw at Odysseus on his escape from the cave of the Cyclops. After Odysseus tricked the Cyclops and blinded him, he yells back to boast about his accomplishment. The Cyclops then out of anger begins throwing rocks at Odysseus’ boat. None of the rocks hit the ship, and Odysseus sails away. 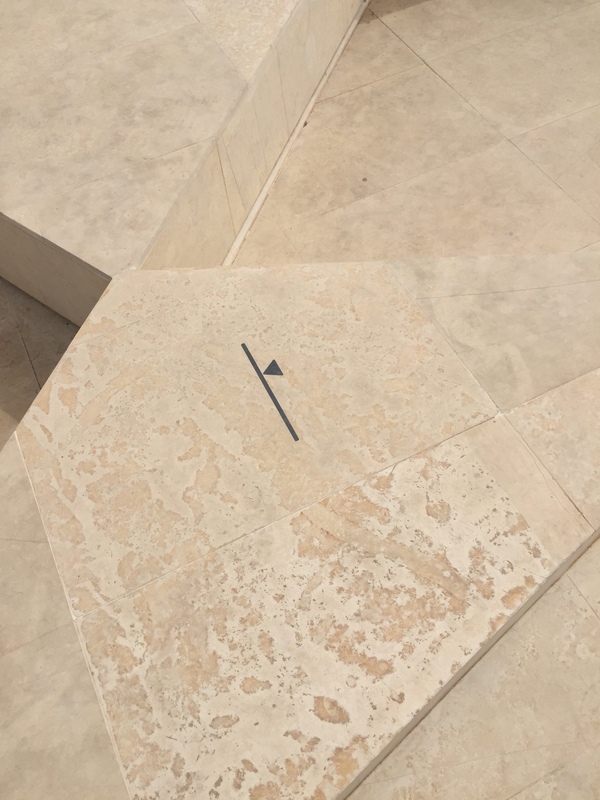 However, the significance of this event lies in the Cyclops’ connection to Poseidon, who is the father of the Polyphemus. This leads to Poseidon’s hatred of Odysseus which extends the journey of Odysseus. This site is the proposed location of this event from the Odyssey. 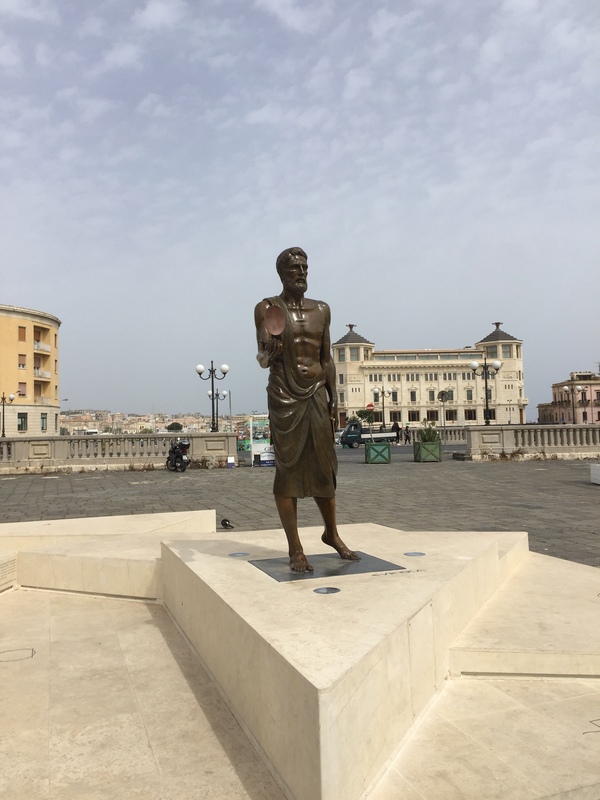 Here in the heart of Syracuse lies a statue of the great Archimedes who is considered among the greatest mathematicians of all time. Most famous for his work on buoyancy and the invention of the Archimedean screw, he is depicted here on a monument decorated with his many achievements. Right below his feet is he word “Eureka” which legend says is what he yelled while running through the streets of Syracuse naked after discovering principles of buoyancy. 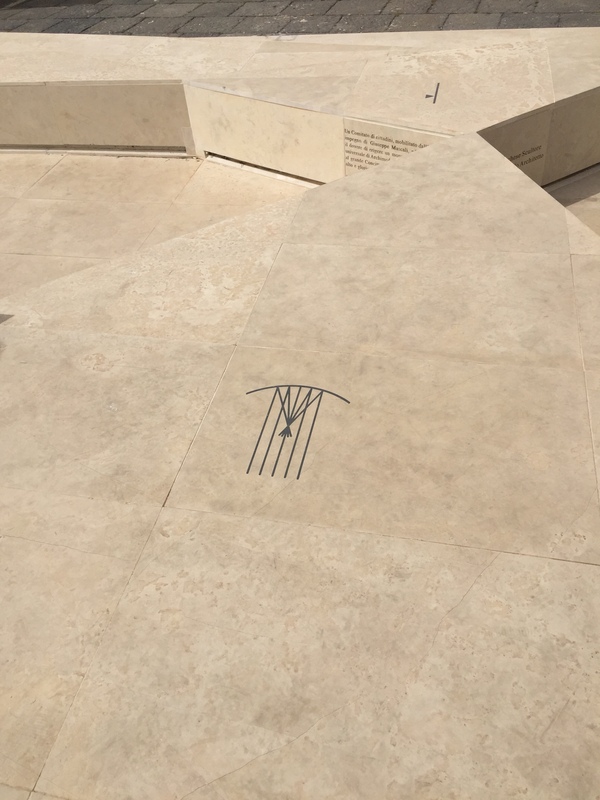 The rest of the monument is scattered with simple representations of his many areas of study in math. Shown below are pictures of his screw, work with mirrors and his math in explaining the lever. 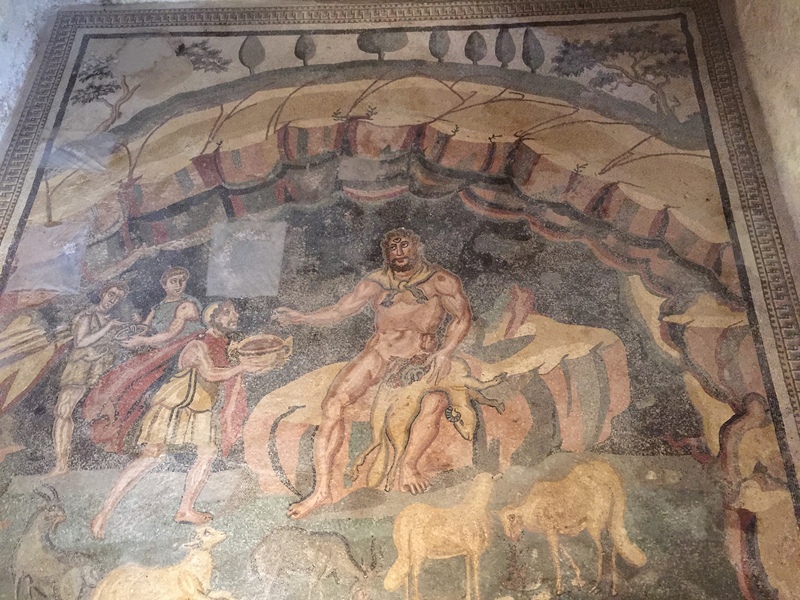 Piazza Armerina: This country house estate is decorated with an immense number of beautiful floor mosaics which depict a plethora of scenes from the ancient world. Here is depicted the story of Odysseus and the cyclops Polyphemus from the Odyssey. This scene has special significance to Sicily as the island was the proposed site of this encounter. In the mosaic Odysseus is shown on the left offering wine to the cyclops, who is depicted here with three eyes instead of one. The artist also made special note to include the herd of the cyclops which Odysseus and his men eventually used to escape the cave. This mosaic likely was used as a display of both the wealth and knowledge of Homeric stories of the owner of the house. 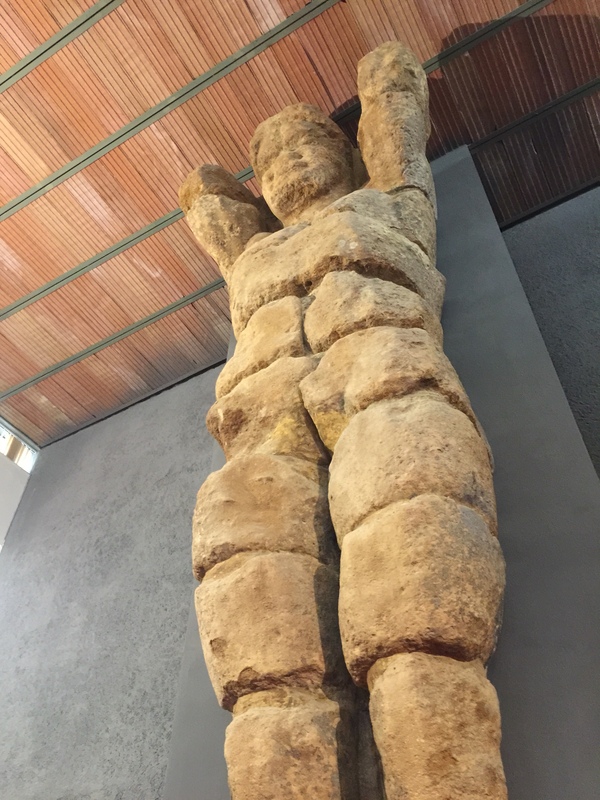 Here is one of the massive statues that was reconstructed from the ruins of the temple to Zeus at Agrigento. Though there are many theories on the exact layout of the temple’s design, these statues likely encircled the temple and could be seen from the outside along the walls. The arms are positioned in such a way that they appear to be holding up the weight of the temple on their shoulders. This temple was the largest temple of its kind, and with these statues would have been a breathtaking sight in the ancient world. This is the best preserved statue which is now housed in the local museum to avoid further damage. 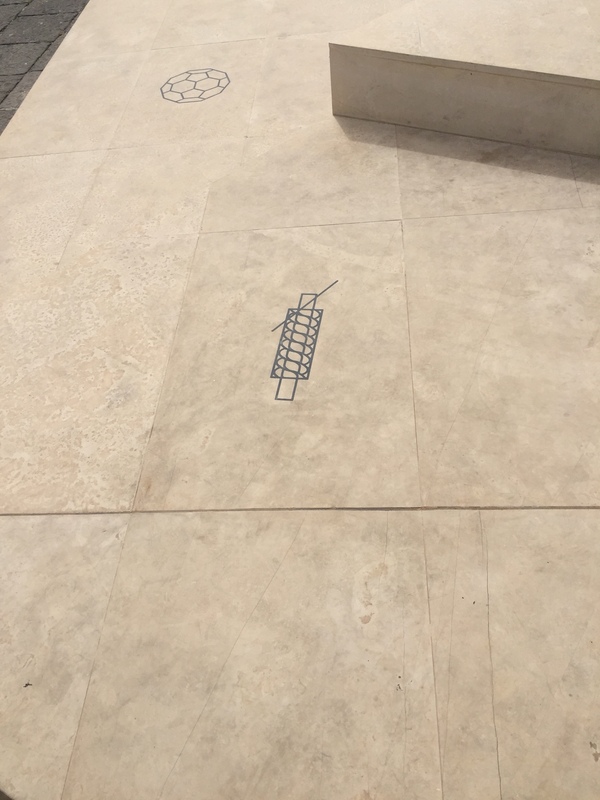 Found in the ruins of Selinunte was this simple mosaic of the Punic diety Tanit. This depiction connects both the island of Sicily and the site of Selinunte in particular to Carthage and Africa, as this mosaic must have been completed by people of Punic descent living in this region of Sicily. This city is one of the closest points on the island to Africa, and thus was likely a large hub for connections between the two regions. 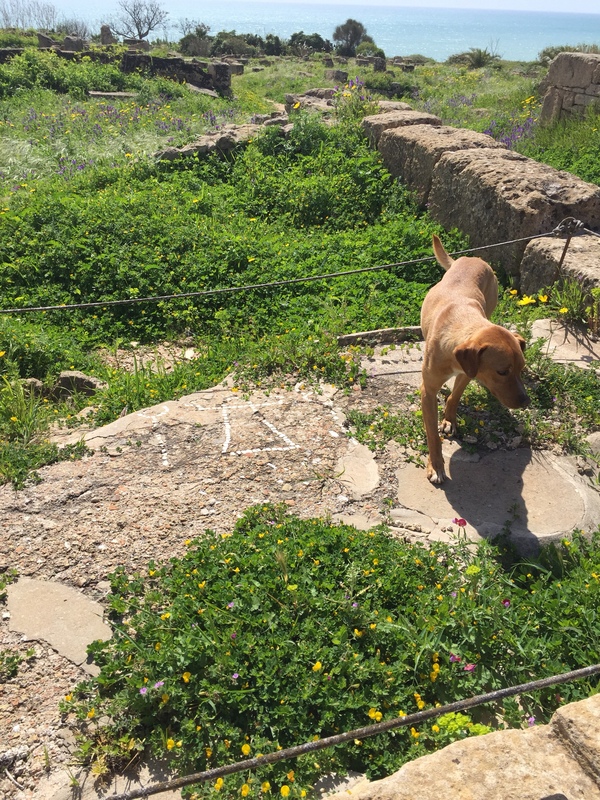 As we gathered around image this dog, perhaps a guardian spirit of the ruins, jumped up and stood next to the mosaic as we discussed its significance.